Green Line D train -- Take train to Longwood station. From station, turn left on to Chapel Street and walk up short hill to Longwood Avenue. Turn left on to Longwood Avenue. 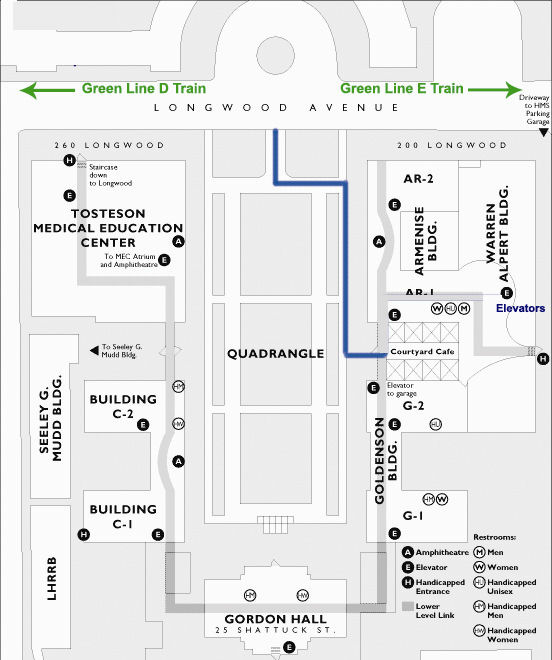 Green Line E train -- Take train to Longwood Medical Area station. From here, proceed down Longwood Avenue towards the hospitals. Harvard Medical School is about a 5 minute walk from the Longwood Medical Area Station and will be on your left.